June 2, 2016  A posthumous album from the great behind-the-scenes man sets a retrospective, autumnal focus on songs which gave rise to Toussaint and his city — and thus to a bigger American music canon. May 26, 2009  Is there music you know you should love, but for whatever reason just don't? For Bob Boilen, Green Day is one of those acts. 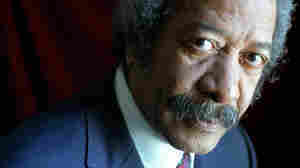 Also on the show, Sunset Rubdown, Danger Mouse, Allen Toussaint and more. November 14, 2015  NPR contributor Gwen Thompkins met the musician at a time when he'd thrown himself into performing around the world. 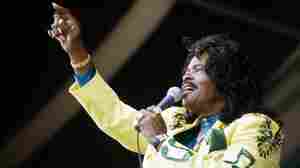 Before his death this week in Madrid, he gave her a song he never got to release. November 11, 2015  Listen back to the music and parts of the New Orleans legend's 2006 World Cafe interview. 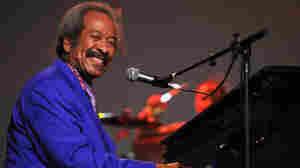 May 18, 2007  Many of the rhythms of early rock 'n' roll came out of New Orleans — and Allen Toussaint has been one of the most important figures there since the '50s. 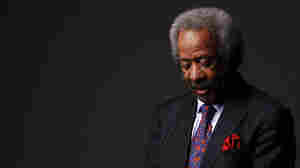 April 16, 2015  The New Orleans R&B icon performs songs from throughout his storied career, live in West Virginia. February 7, 2014  The New Orleans pianist and composer plays some of his songs, including "Get Out of My Life Woman," and tells the stories behind his most iconic hits. November 30, 2009  At any given point in 2009, World Cafe host David Dye's Top 10 list would inevitably look different. So consider this a snapshot — and otherwise subject to change at any time. 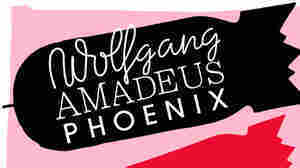 Some picks won't be new to most readers, but others qualify as left-field musical discoveries. 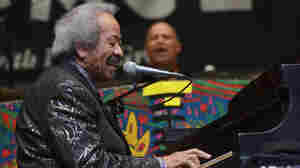 December 15, 2006  Recorded at the John F. Kennedy Center for the Performing Arts, New Orleans keyboard legend Allen Toussaint headlines another stellar program. 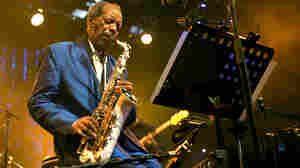 Jazz Piano Christmas mixes established jazz stars with promising newcomers to offer original and unique jazz interpretations of holiday favorites. 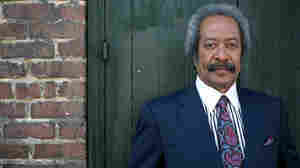 December 31, 2005  Musician Allen Toussaint is a native son of New Orleans. He plans to return in the New Year. He lost a piano the storm. As for his next one: "I'm going to put it on the second floor this time... we won't be flirting with water anymore." 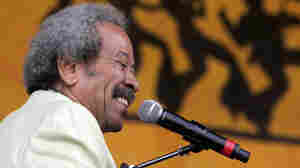 December 12, 2005  Elvis Costello and New Orleans piano legend Allen Toussaint have recorded a new album in New Orleans. The session is in part a symbolic effort to show the city's music industry is not dead.